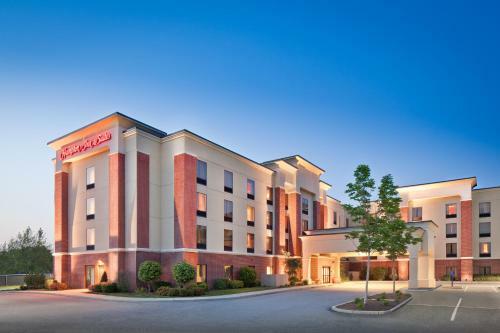 Featuring free WiFi throughout the property, Hampton Inn & Suites Providence / Smithfield offers accommodation in Smithfield, 13 km from Providence. Complimentary American breakfast and free WiFi are offered. Each room offers a TV with premium channels. Some rooms include a seating area where guests can relax. Extras include free toiletries and a hair dryer. There is a 24-hour front desk, a business centre, dry cleaning services and gift shop at the property. Worcester is 45 km from Hampton Inn Smithfield, while Dedham is 46 km away. T.F. Green Airport is 22 km from the property. the hotel Hampton Inn & Suites Providence / Smithfield so we can give you detailed rates for the rooms in the desired period.